A blend of loose leaf Nilgiri black tea and rose petals to give a pleasant, fragrant brew. This tea can be enjoyed on its own or with a drop of milk, soya or almond. Ingredients: Nilgiri black tea, rose petals (min 3.7%), aroma. Prefer pure Rose buds without the black tea? Find our Rose Bud tea here! Love flavoured black teas and want to try more? 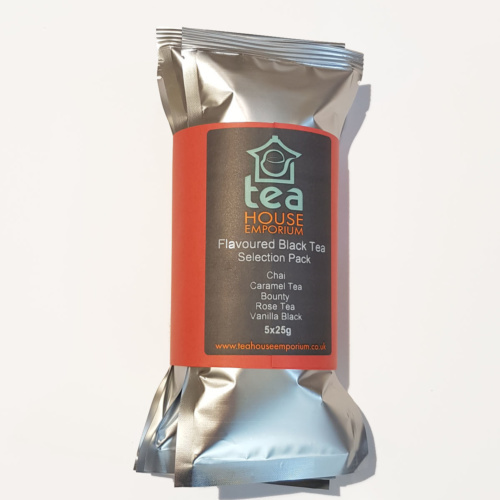 Find our flavoured black tea selection pack here!